Non-optimal activities, limited technology use and labor issues continue to plague the construction and logistics industries, with the former accounting for $177.5 billion in US labor costs per year. 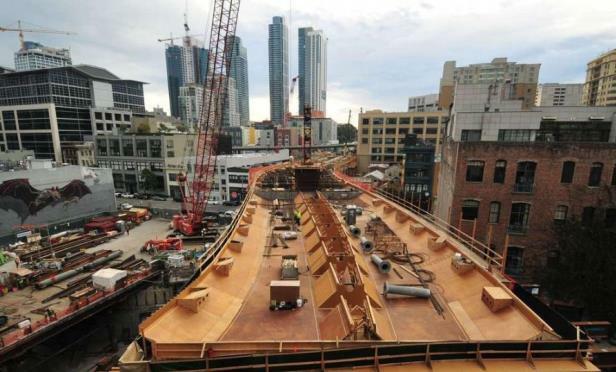 The $4.5B Transbay Transit Center will connect with multiple systems (credit: Construction Equipment Guide). SAN FRANCISCO—Technology, time management and labor issues continue to plague the construction and logistics industries. A recent survey indicates that time spent on non-optimal activities such as fixing mistakes, looking for project data and managing conflict resolution accounts for $177.5 billion in US labor costs per year. The study also found that rework caused by miscommunication, and inaccurate and inaccessible information will cost the US construction industry more than $31 billion in 2018.